The Armed Forces Remembrance Day is an annual event held every January 15 in honour of fallen heroes who lost their lives during the Nigerian civil war and the first and second world wars. 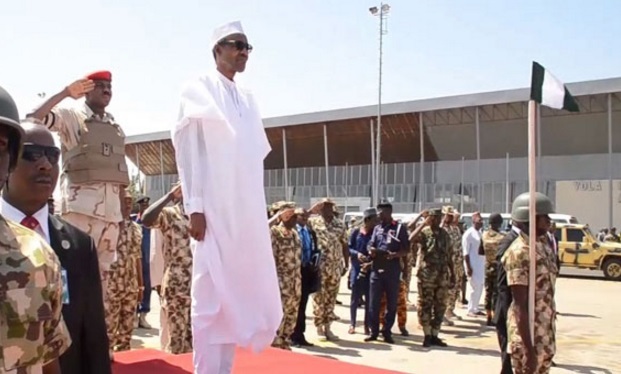 On Sunday, President Muhammadu Buhari and Vice President Yemi Osinbajo led government officials and service chiefs in Abuja to lay wreaths in honour of Nigerian soldiers who died in active service. According to reports, Mr President also used the opportunity to commend troops in the battle fields in Sambisa Forest, Yola in Adamawa, those serving in UN Peace Mission in Liberia and those fighting Boko Haram. 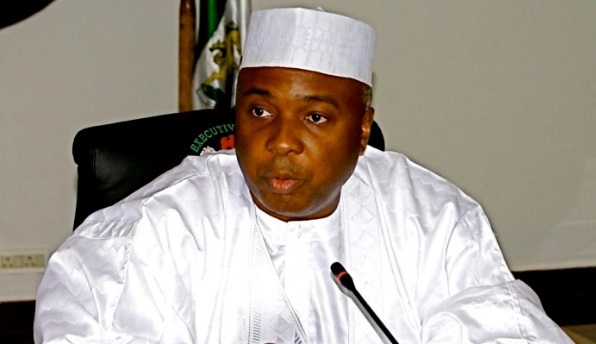 Other dignitaries also performed laying of the wreaths including Senate President Bukola Saraki, Speaker of the House of Representatives Yakubu Dogara, acting Chief Judge of the Federation and Justice Walter Samuel Onoghen. 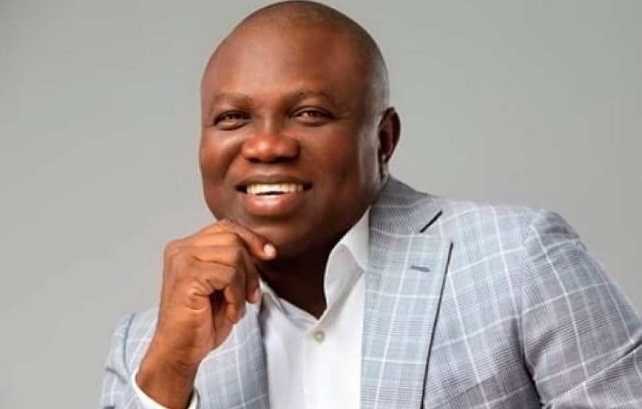 Remembrance services also took place in Lagos where Governor Akinwunmi Ambode of Lagos emphasised the state government’s commitment to the welfare of members of the Nigerian Legion and provided N5 million to support the families of fallen heroes and the Nigerian Legion. As usual, the occasion also witnessed gun salutes and release of pigeons and balloons to signify peace and freedom while prayers were also offered for the families of the fallen heroes, the Nigerian Armed Forces, Service Commanders and the country. TODAY Jan 15, is 🇳🇬 Armed Forces Remembrance Day. 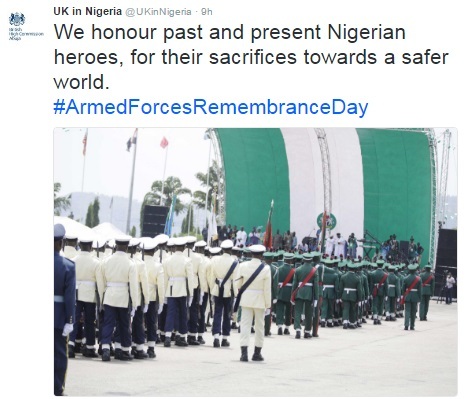 UK Nigerian, Worldwide January 15th is Nigeria's Armed Forces Remembrance Day, Today Bookmark the permalink.